Oh,Gee. Do you know what can happen to your muscle tone when you go from singing and dancing with children all day long to sitting at a desk all day long? It is not a nice thing. When I left the classroom, exercising outside of work wasn't all that necessary. I choreographed, sang, stomped, danced, twirled, and moved children all day long. I left work quite worn, but happy and decently fit. I would have probably been stick-thin if I could have managed to drop my love for chocolate and pizza. But, I didn't and that was pretty OK with me. Outside of pregnancy, I had only managed to have ten extra pounds since my college days and I thought that wasn't so bad. Oh, but now this desk job is killing my fitness. I am not sure I could exercise enough in the evening to make up for the 10+ hours I spend sitting working at a computer and sitting in traffic. How do others do it? I can't for sure. While my weight has only gone up a small percentage, my tone is just disintegrating. It is quite sad. Even Jackson told me the other day that I was nice and fluffy. Fluffy? Really? He said, "Mom, you really aren't fat. You are just soft." I am pretty sure that is not how I want to be described, at least not quite yet. This week is my last week of work. Whew...to say I am thrilled would be an understatement! Because of the timing of things, the boys have gone to spend the week with their grandparents so that I could finish the week and they both would not have to be in daycare. Much love and thankfulness to them for loving on my babies. The boys were beyond excited, and I barely got a "see ya later, mom" on my way out the door last night. I am thrilled they love spending time there, but I will miss them like crazy. So, in their absence, I thought this was the perfect time to start loosing the fluff. Surely, I will loose the grump in a week over pulling in the reigns on my "survival" diet I have been enjoying for the past year. I followed a pretty cut and dry plan when I was working on loosing baby weight. It worked quite well. I am hoping that it will do the trick again, but the first few days are always the hardest. It is a French diet that attacks the fluff pretty quickly, but it takes a good amount of determination. I am determined. I will be spending far too much time in the pool this summer to be fluffy. SC summers can be quite the scorcher. Our community pool is the happening place, and I am determined that I will not avoid spending time splashing and playing with my boys just because I am self-conscious. 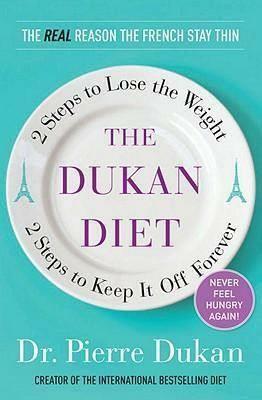 So, with bated breath and high hopes I am pulling out my old friend, Dukan. If you think you would like to join me, let me know and we can be buddies in the process. So here's to thinner, less fluffy days ahead! If you are curious, and want to see what your true weight is....check out their free calculator. I have the book, and that is all I go by. It really did the trick before....except I never completely stuck with the final phase when I stared this ole desk job. Maybe, this time I will. Come join me and we can Dukan together! Some people who have to be at desks all day opt for those "standing desks"...that sounds rather torturous to me. I know Spark People has a couple of "desk workouts."